The new system of pricing TV Channels under TRAI’s regulatory mechanism in India will de-risk the business model of distribution companies such as cable and DTH providers. As per the newly implemented MRP regime, television channel operators will no longer be allowed to enter into ‘fixed payment’ deals with distribution providers like cable and DTH operators starting in 2019. At present, a channel operator, such as Zee Entertainment, enters into an agreement with a platform provider, such as Hathway, under which Hathway pays a certain amount of money to Zee for carrying its channels for the year, irrespective of how many Hathway users ultimately end up watching those channels. 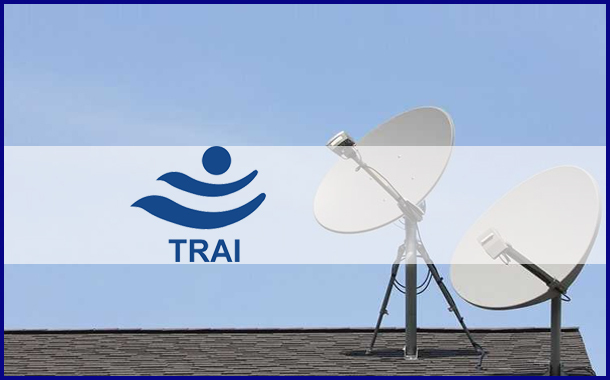 Under the new rules, the TRAI has prohibited this form of ‘fixed price’ deals, and mandated that channel owners shall receive money from a platform purely on the basis of the number of subscribers for their channels. The earlier method was risky and acrimonious and led to frequent blackouts and months-long dispute as channel owners and distributors tried to keep of the consumer revenue as possible. According to the leading operator in Cable distribution business, the transition to the new system is a positive for distribution companies as they no longer had to do this negotiation, and any channel owner that increased their channel prices would have to deal with the customer directly. “Channels will be offered at a-la-carte price (MRP) decided by broadcaster, (and the price of a) bouquet of channels will be sum total of a-la-carte price at nominal discount. Distributor will get a margin on the MRP. Any increase in price will be passed on to the consumer,” it pointed out. “Distributors’ business model will be largely de-risked, given stable revenue (distribution charge from consumers and content commission from broadcasters) and content cost becoming pass-through,” it said. Secondly, there will be parity between the costs of small distribution platforms and big distribution platforms, as the channel owners have to charge the same price from all distributors. At present, bigger networks get channels at lower rates due to their market power. The new regime will “bring symmetry of consumer price across platforms,” the cable network added, in a presentation before investors. On the downside, the new system — where customers can add and delete channels at will — will lead to non-uniform revenue from each customer. This will require a renegotiation between feed-providers, like MSOs, and their local distribution partners called LCOs. The tariffs were supposed to have already come into effect, but were derailed after several companies, including Star India, Tata Sky and Airtel Digital, challenged them in the courts. While the challengers were unsuccessful in negating the key thrust of the regulations — uniformity of channel prices across platforms — they were able to block another key provision aimed at ensuring that channel owners did not ‘bundle’ or push unwanted channels to end consumers along with their popular channels. This was so after the Madras High Court struck down the TRAI rule that required channel owners to keep the prices of channel packs largely in sync with the prices of the channels contained in them. ZEEL was the first to announce its MRP rates under the new tariff regime and Viacom18 followed it. Now, almost every Channel operators like Sun TV, Times Network, Disney India and Turner India had unveiling their MRPs adhering to the newly implemented regulations.